Open-plan living continues to be the most popular trend in modern home renovation and offers a range of social and lifestyle benefits. By offering freedom when planning and designing your kitchen, and a clear view of the living space while cooking. The contemporary kitchen is all about innovation. More so than ever before, according to Willi, difference is key. 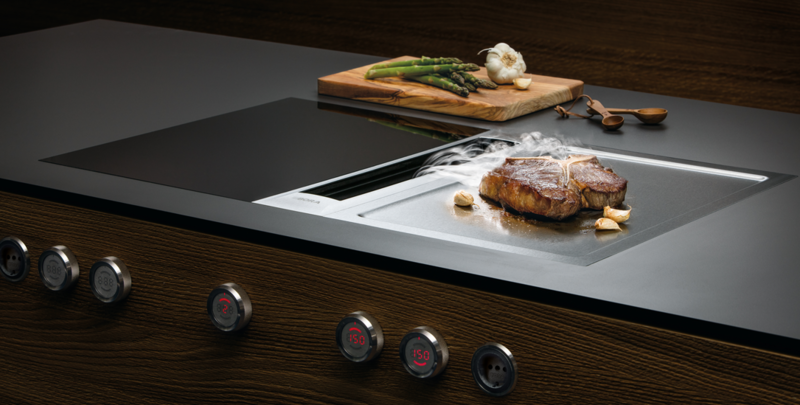 The advantages of downdraft ventilation systems are quickly turning them from a niche product to a coveted solution in every kitchen. The contemporary kitchen has, in Willi’s opinion, become a priority in homes in which quality is key and can make a massive difference to the value of a property. This means that modern appliances must display true quality in order to stay relevant – something which he espouses. The kitchen of the future can truly be defined as the sum of its parts.